So begins Lawrence Lessig's sweeping indictment of contemporary American institutions and the corruption that besets them. We can all see it—from the selling of Congress to special interests to the corporate capture of the academy. Something is wrong. It’s getting worse. Lessig knows that a charge so broad should not be levied lightly, and that our instinct will be to resist it. So he brings copious, damning detail gleaned from years of research, building a case that is all but incontrovertible: America is on the wrong path. If we don’t acknowledge our own part in that, and act now to change it, we will hand our children a less perfect union than we were given. It will be a long struggle. This book represents the first steps. Lawrence Lessig is the Roy L. Furman Professor of Law and Leadership at Harvard Law School, an attorney, and an activist. He cofounded Creative Commons in 2001 and is the author of numerous books, including, most recently, Republic, Lost: Version 2.0. "America, Compromised is about the country in the Trump era, but not about Trump. Indeed, Lessig would have written much the same book if Hillary Clinton were president and if Democrats had control of both houses of Congress. His focus is not on bad people doing bad things, but on how incentives across a range of institutions have created corruption, with deleterious consequences for the nation. . . . America, Compromised join[s] an impressive array of books and essays that may, someday, have a future intellectual historian using them as examples to lament the fact that his or her contemporaries are not as eloquent or important as the group that arose in the Trump era to combat the threats to our way of life." 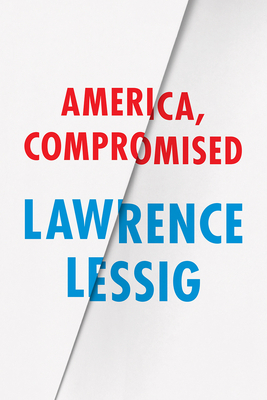 "Lessig lays out a working definition and theory of corruption that is at once simple and comprehensive, a devastating argument that America is racing for the cliff's edge of structural, possibly irreversible tyranny."